Gabe Halpern is certified by the Supreme Court of New Jersey as a Civil Trial Attorney. Less than 3% of the lawyers in the State of New Jersey have the necessary knowledge and experience to have earned this distinction. 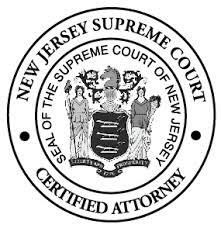 Mr. Halpern is certified by the Supreme Court of New Jersey as a Civil Trial Attorney. (CertifiedCivilTrialAttorney.com/). Mr. Halpern concentrates on complex commercial, professional malpractice, personal injury, employment matters and class action litigation. He has had a broad range of experience in litigating matters in state and federal courts. Mr. Halpern has also served as litigation counsel for municipal government in all aspects of litigation. Mr. Halpern has lectured on consumer contracts, commercial collections and New Jersey Foreclosure Practice. He teaches New Jersey Civil Practice on behalf of the Institute for Continuing Legal Education. Mr. Halpern’s litigation experience includes cases involving partnership and shareholder disputes, medical malpractice, home improvement contracts, personal injury and negligence cases, architect/engineer malpractice; construction defects; product liability; employment agreements (trade secret agreements and restrictive covenants); employment discrimination matters; UCC agreements (sale contracts, letters of credit, security agreements); insurance coverage matters; zoning and planning matters; lender liability matters; franchise agreements; brokerage commission disputes, environmental litigation and other commercial disputes. Mesalic v. Fiberfloat, 897 F.2d. 696, (3rd Cir. 1990); In re: Buildings by Jamie; Straffi v. Buildings By Jamie, Inc., 230 B.R. 36 (1998); Bellemead v. Roseland, 16 N.J. Tax 369 (1996); 17 N.J. Tax 155 (1997) and 18 N.J. Tax 17 (1998); In re: Warren Township et als., 132 N.J. 1 (1993); Rizzo v. Prudential Securities; 287 N.J. Super. 523 (App. Div. 1998); Higg-a-Rella v. County of Essex, 141 N.J. 35 (1995); Weiss v. Regal Collections, 385 F.2d 337 (3rd Cir. 2004).